The Rams are back on top this week after downing Dayton and Massachusetts in a 2-game home stretch. De’Riante Jenkins was arguably the player of the week for the Rams, as he hit 7/8 three point attempts combined against the Flyers and Minutemen. At 4-1, a crucial road stand against Rhode Island and Duquesne awaits this week. 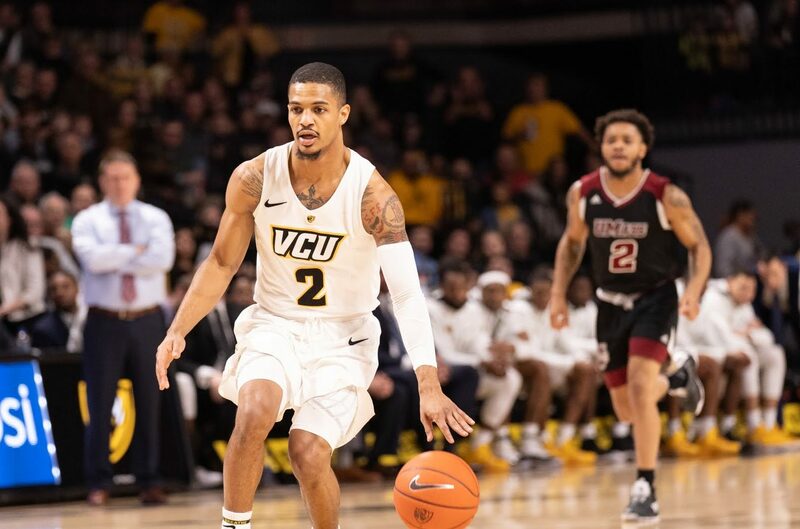 Following VCU in the 2nd spot this week, Saint Louis is 5-0 in the conference, though the Billikens have yet to face many true tests; that will change this week. Saint Louis goes on the road to take on a 4-1 Duquesne team before hosting Davidson next weekend. Should be very telling. Davidson lost a head-scratcher this week on the road against Saint Joseph’s; the first of the top 5 teams to drop a game to someone outside of the top 5 (VCU, SLU, Davidson, Dayton, Mason). Streaky shooting can be a blessing or a curse for the Wildcats; they got outshot from 3 by the Hawks (barely), but they were absolutely lethal (or should I say Luke Frampton was) at home against Richmond in a follow-up game. Dayton hangs in the 4 spot this week, though they pulled off a very entertaining road win in Olean courtesy of a late Jordan Davis three to seal the deal. The Flyers will be happy to play 3 out of their next 4 at home with the one road game coming against Fordham. George Mason hangs in the 5 spot this week after a road win over Massachusetts and a scare at home against Fordham (Patriots fans can thank Otis for that one). In GMU’s next 3 games, it’ll have to face VCU and Dayton, both on the road; that makes for a tough couple of games. At 4-1, Duquesne has won the games it should have with the sole loss coming on the road to Davidson. The Dukes, I will say, have been incredible in close contests, and that OT win over George Washington speaks to that. Dambrot’s club is now 3-0 in overtime games this season. The Rams come tied with Duquesne in this week’s power rankings; it’s interesting because, despite Duquesne’s better record, URI ranks nearly 50 spots higher in Kenpom compared to the Dukes. Regardless, I think these are 2 evenly matched teams in the middle-of-the-pack. On a 2 game winning streak, URI will look to carry momentum into a home game vs. VCU. I think this is a pretty fair evaluation for St. Bonaventure, as the Bonnies are clearly a tough out in Olean despite their youth. Freshman Kyle Lofton has really been developing nicely this season, and Courtney Stockard continues to be an all-conference caliber player. The Hawks get a nice little boost this week after downing Davidson at home and proving they’re not as bad as their conference record indicates. Charlie Brown struggled on the road against Javon Bess and the Billikens though, and this team is a very frustrating 1-5 in league play. Massachusetts is another team that’s not as bad as its record indicates. Arguably, the Minutemen had the toughest draw of 5 or so games to start league play, and they actually held their own against superior opponents away from home. They’ve got good chances for Ws coming up at home against St. Bonaventure and Rhode Island. The Spiders have struggled recently, as an 0-2 stand this week saw an opportunity against Duquesne at home slip away. A home game against St. Bonaventure this week is a solid chance for a UR win. La Salle has made slight improvements in conference play, but its still 1-4. A road game against Fordham will be an interesting one. Fordham might have played its best basketball of the season on the road against George Mason this past week and probably should have won that game. But alas, the Rams are still 0-5 in the Atlantic 10. A loss at home to Duquesne was a devastating one on Sunday, but credit Joseph’s club for fighting back after being in a big hole early.